Located along the beautiful French Riviera, Nice is the type of place you can spend endless amounts of time. 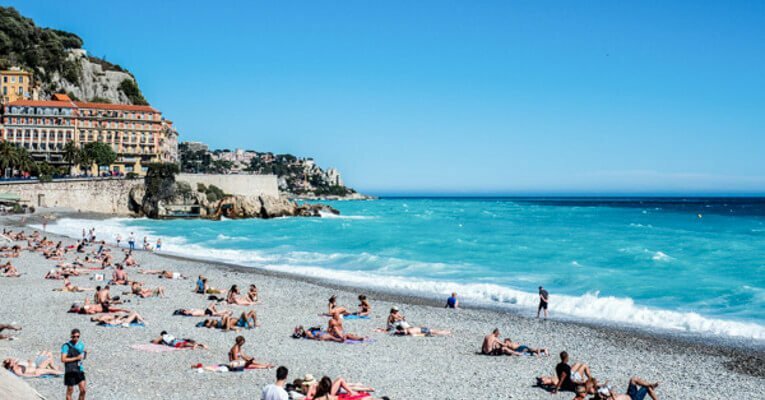 In Nice, the beaches are so blue you could just stare at them all day and feel happy. The food is delicious with both French and Italian influences. And if that wasn’t enough, there are so many incredible places to visit around Nice, that no matter how long you have here, it somehow never feels like enough. 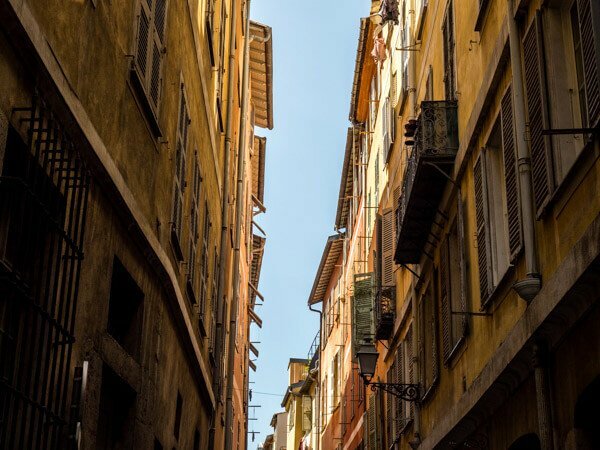 That being said, whether you have a few days or a few weeks, here are my picks for the best things to do in Nice France. One of my favourite things to do in Nice is to walk the tiny streets of the Old Town. Although admittedly pretty touristy in parts, the charm is not lost. From the orange-walled buildings to the smell of baguettes baking and watching daily life unfold. Nice Old Town is filled with lots of little speciality food stores, from the bakeries to the fromageries to the local pasta maker. 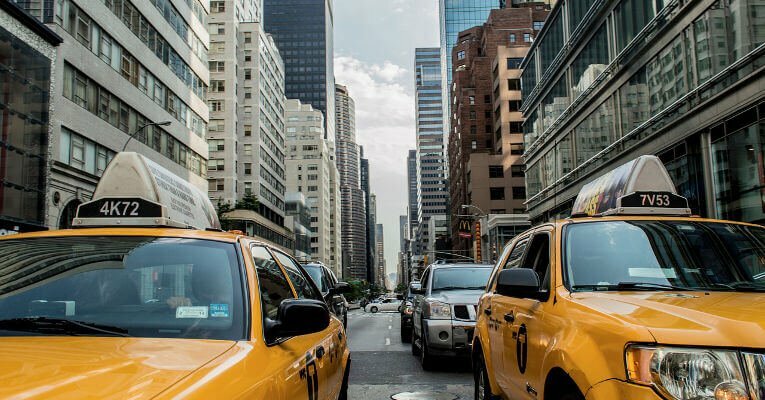 Lose the map and explore whichever streets take your fancy. If you’re lucky, you might pop out right at the beautiful promenade and beach. I’ll never forget the first time I saw the colour of the water in Nice. It was a shade of light blue I don’t think I ‘d ever seen before. Be prepared to stay for a while, because once you see that colour, it’s hard to walk away. In Nice, they have areas of the beach that are for the public, where you can bring a towel and stay for as long as you want. Or there are a number of private sections where you pay to enter that part of the beach. In the private areas, there is often a beach club that may include a restaurant, day beds, and other services. I have done both and loved both, it really depends on the type of experience you want. There are also more secluded beaches if you keep walking past the port, such as Plage Reserve and Plage Coco. These beaches might be a little rocky and harder to get too, but they are more peaceful and just as beautiful. If you look up from the Promenade des Anglais, you will see a lookout. This is Castle Hill. Walk up to the top to get amazing views over Nice and the coast. There are many markets in Nice, but one of my favourites is the Cours Saleya Markets, otherwise known as the Marche Aux Fruits et Legumes. 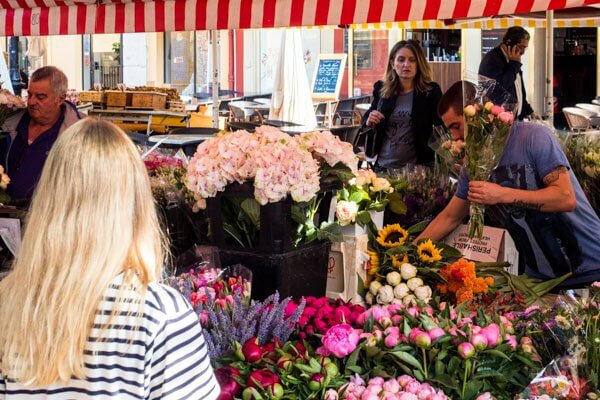 Here you will see stalls selling the most delicious looking fruits and vegetables, as well as flowers. If you don’t have a kitchen in Nice, you can still grab some strawberries or figs, and take them to the beach. 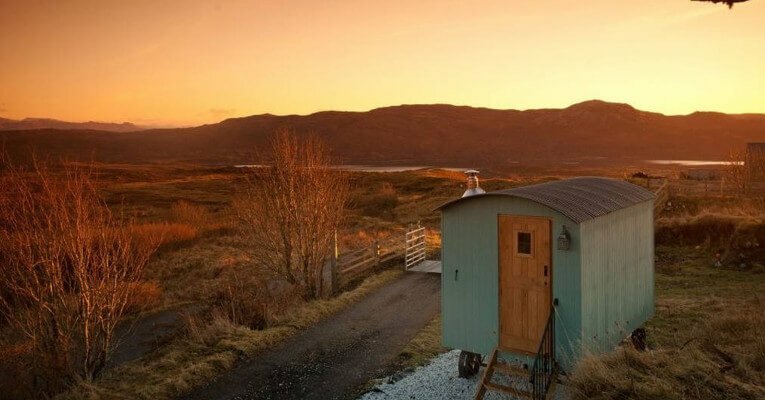 If you want a more local experience, try and get there earlier rather than later. Try some of the local dishes in Nice, like Socca (think chickpea pancake), Nicoise Salad and fried zucchini flowers. Some of these can be found at the markets or local restaurants. My favourite Socca can be found at Chez Pipo. Another foodie experience to have in Nice is to have dinner in the Old Town. 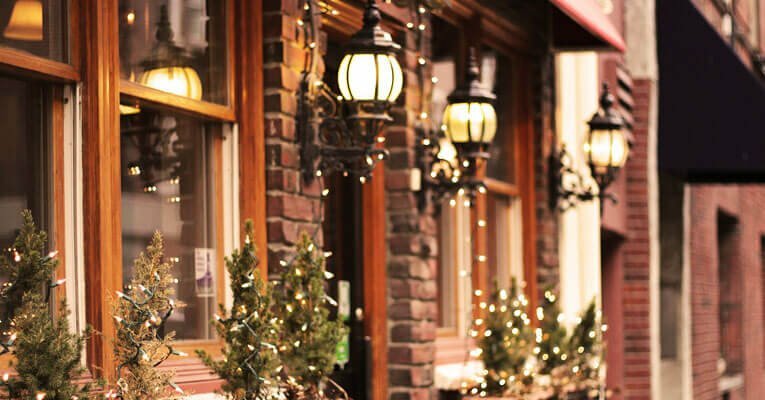 Here you will find some great traditional French restaurants with a cosy atmosphere. 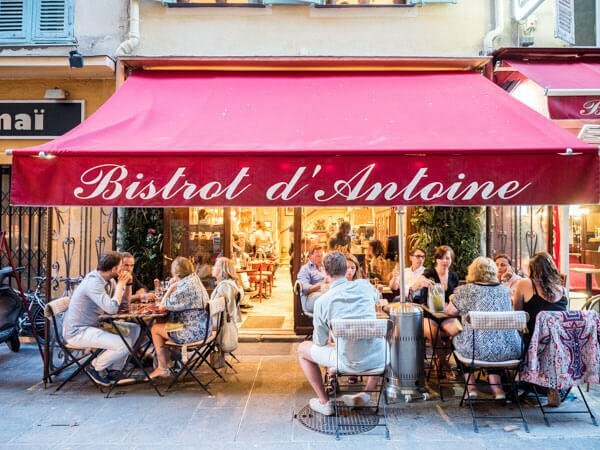 One of our favourites is Bistro d’Antoine. If you can drag yourself away from Nice for a day, there are so many amazing places to visit. 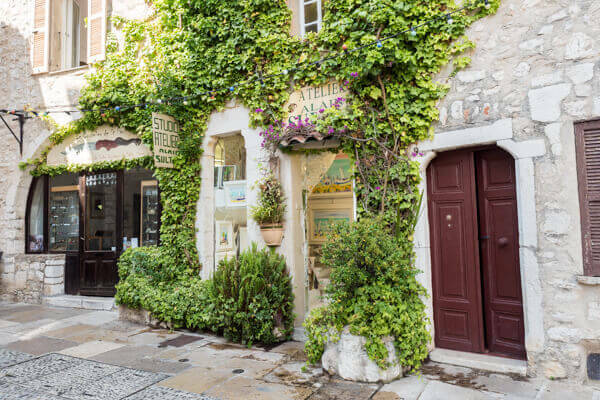 One of my favourite day trips from Nice is Saint Paul de Vence, a small hilltop village in Provence. This can be reached by bus within an hour from Nice. My advice is to get there early as it quickly fills up with tourists. There are so many other options for day trips, from towns along the French Riviera, villages in Provence and of course, Monaco. You can actually even visit Italy within 30 minutes on the train. 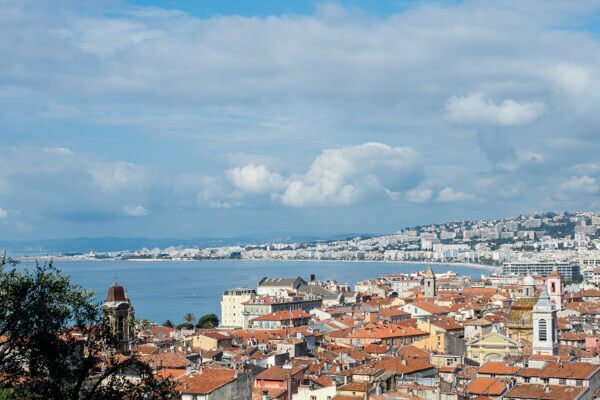 So that’s my picks for some of the best things to do in Nice, France. It’s such a beautiful place, enjoy your trip! Mandy, from Sydney, Australia, has been travelling full-time for the past two years throughout Asia and Europe, carry-on only. She loves to explore each destination for a month or more, really getting to know the daily life and personality of a place. Mandy shares her best travel tips like how to pack light and the best places to eat and stay on her travel blog, Almost Landing. Good read! There are many activities one could do in France actually. 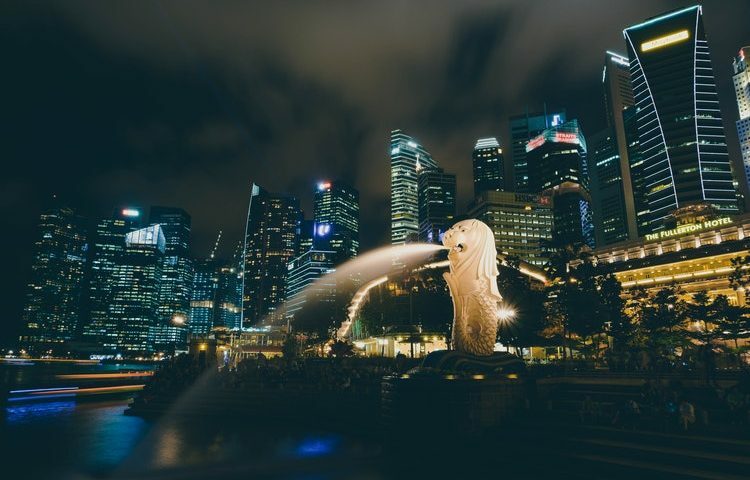 My personal fave is definitely a trip to Paris, one is because it is the most romantic city in the world as they say, but to be honest I agree with you there is more to Paris than the Eiffel Tower or the Notre Dame Cathedral. Above-mentioned activities are just some of the many.